The most comfortable way for affordable travel between Koh Chang and Bangkok airport: the Suvarnabhumi airport <-> Koh Chang bus number 392, aka the Suvarnabhumi Burapha Bus service. This air conditioned VIP coach, with it’s beach, sea and sun destination, will depart from Bangkok Airport and Koh Chang island every day for an multi destination journey, following below listed time tables. 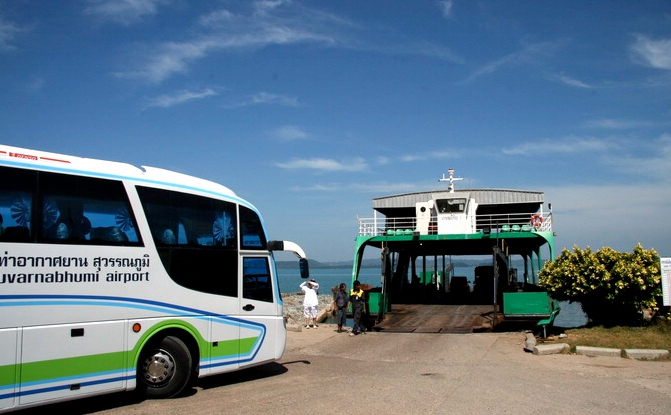 The Koh Chang – Trat – Chantaburi – Pattaya – Suvarnabhumi Airport bus currently runs once a day and is also the ideal means of transportation between other beach destinations like Pattaya. Ticket price is set at 600 baht / person / one way or 900 baht / person / round trip between Koh Chang and Suvarnabhumi Airport. Water and a light snack will be provided and all types of snacks and beverages are available on the ferry, as well as from the minimarket on the 2nd floor of the airport terminal or at the bus terminal. 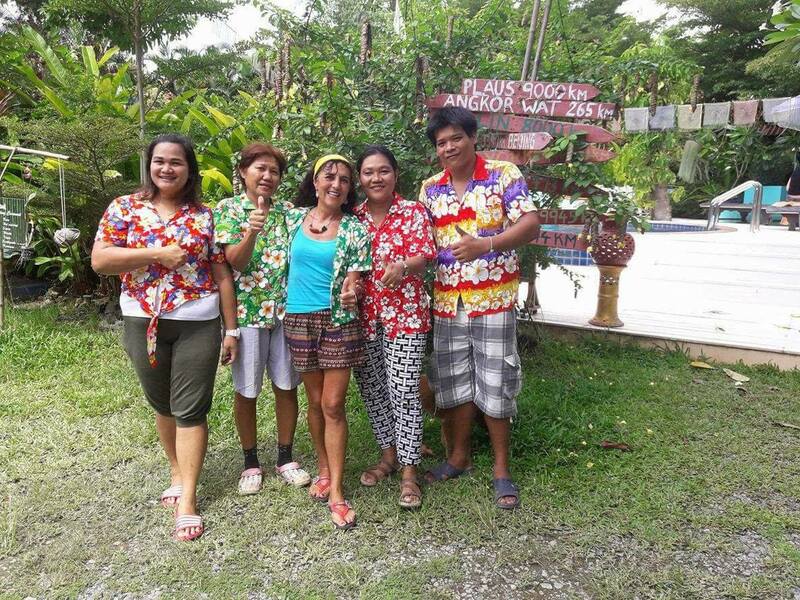 Book bus tickets to Koh Chang on the Airport bus to Koh Chang booking page or read more about why and how on the other pages on this Suvarnabhumi Airport to Koh Chang island web site. This bus currently does not run during the low season, but below mentioned Lonely Beach Express minibus service does.